Portugal is the origin of many inventions and innovations in various fields, including science, technology, weaponry, medicine, navigation, and music – just to mention a few. Many different musical instruments have been developed in Portugal, including the Portuguese guitar and a wide range of violas. The Portuguese guitar is a plucked string instrument with 12 steel strings strung in six courses consisting of two strings each. This guitar is closely associated with the musical genre fado, another Portuguese creation. 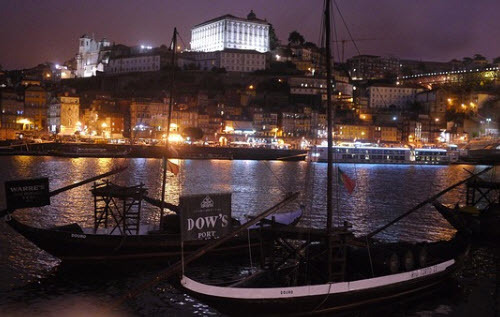 Located on the westernmost side of the Iberian peninsula, Portugal has a long tradition of being a seafaring nation. Unsurprisingly, many inventions and discoveries pertaining to navigation has come out of Portugal, such as the nonius device and the practise of volta do mar. An example of a notable Portuguese innovation not related to the sea is the Herrmann wall phone, created by the Portuguese inventor Maximiliano Augusto Herrmann in 1880. This phone pioneered the use of buttons to activate the phone, and it played a vital role in the opening of public telephone lines in the main cities of Portugal. When he invented the phone, Herrmann was working for the North and East Portuguese Railway Company doing telegraph line inspections. As the phone became a success, he opened his own workshop dedicated to the production of precision instruments. Portugal has participated in many wars and several weapons have been developed for use by the Portuguese. There is for instance the Mauser-Vergueiro bolt-action rifle, the Dilagrama m/65 grenade launcher and the FBP m/948 submachine gun. The Dilagrama m/65 grenade launcher was used by the Portuguese army from the 1960s to the 1990s. The name is derived from Dispositivo de lançamento de granadas de mão – modelo de 1965 (Device for launching handgrenades – model of 1965). This device was developed to fit the G3 Automatic Rifle, making it possible for the soldier to launch a defensive Type m/63 hand grenade much further than when thrown by hand. Essentially, the Dilagrama m/65 is a grenade adaptor for the barrel of the G3 rifle. The Dilagrama wasn’t invented from scratch in Portugal; it is heavily based on the US military’s M1A2 Grenade Adapter. The FBP m/948 submachine gun was used by the Portuguese army from 1948 to 1955, while later models of the FBP remained in use until the 1980s. Designed by Major Francisco Gonçalves Cardoso, the gun was manufactured at the Fábrica de Braço de Prata in Lisbon, who also gave it its name (the initials of the factory name). Cardoso first conceived the basis of the FBP m/948 design in 1940, when he was an officer of artillery in the army. The gun was never put into production during World War II, but when the war was over Cardoso improved upon his original ideas and the gun became a reality. If you wan to invest in Portuguese companies and their innovations than you can chose to buy stock in large Portuguese companies listen on the PSI-29 Index on the Euronext Lisbon stock market. Most stock brokers will allow you to buy stock on the Euronext markets. If you want to invest in smaller unlisted companies then you need to to contact the company directly and see if they accept investments at this time. Most companies have at least one representative that speaks English. You do not need to understand Portuguese to invest in the country. If you want to invest in large Portuguese companies then you can often choose to invest in options, binary options and CFD certificates as well. These are leveraged products that make it possible to earn a lot of money but you also risk to lose a lot of money. These types of instruments are very seldom available if you invest in smaller companies. I strongly recommend that you read this guide before you start trading with binary options. Never trade leveraged instruments if you do not understand exactly how they work.